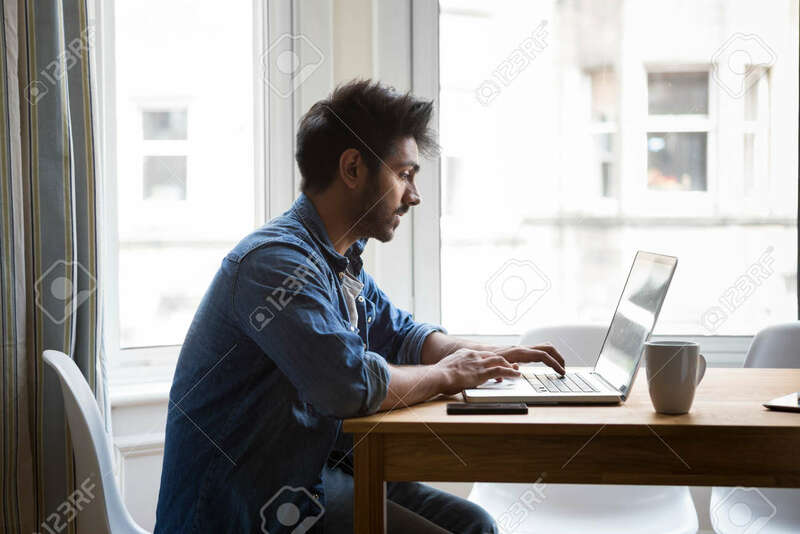 Portrait Of An Indian Man Sitting At A Table At Home Working.. Stock Photo, Picture And Royalty Free Image. Image 31164412. Stock Photo - Portrait of an Indian man sitting at a table at home working on a laptop computer. Side View. Portrait of an Indian man sitting at a table at home working on a laptop computer. Side View.